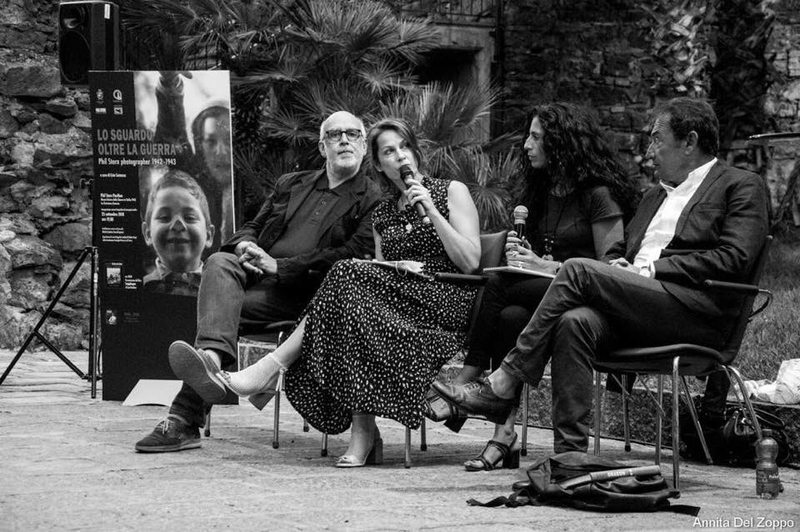 Last month Liesl Bradner was invited to speak at the first anniversary of the opening of the Phil Stern Pavilion in Catania, Sicily. Today on the blog Liesl discusses Phil's history with and influence on the towns he visited whilst on the island. 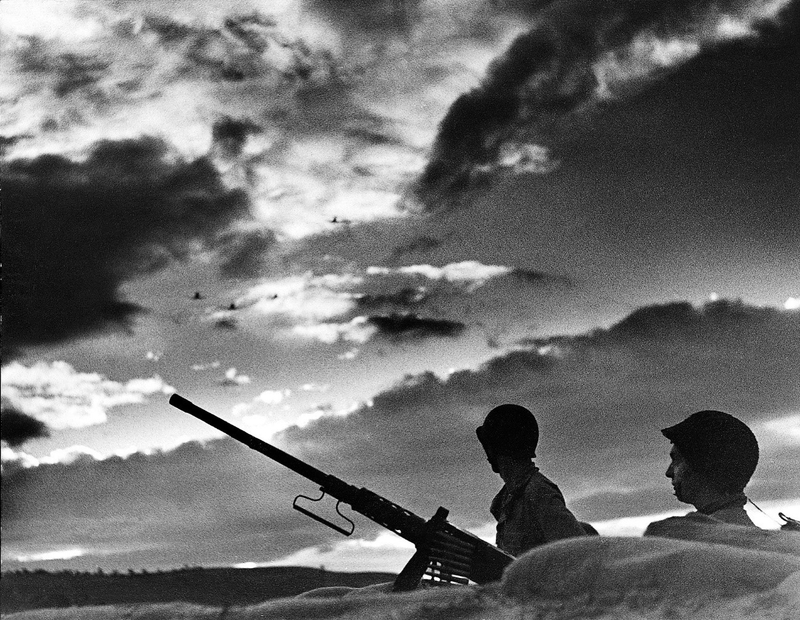 To see more of Phil Stern's incredible work as a combat photographer, get your copy of Snapdragon today. 70 years after sailing from Oran in North Africa to the bloodied beaches of Mussolini’s Italy during the invasion of Sicily, 93 year old photographer and Darby’s Ranger, Phil Stern returned to the Mediterranean island of his youth in July 2013. For 10 days in July 2013, Phil and his family visited the towns and beaches where the British and American troops gallantly fought the Axis forces, and the streets where Italians citizens welcomed them as liberators that brought an end to the fascist regime. This past week I was invited to attend the first anniversary of the opening of the Phil Stern Pavilion in Catania, a permanent museum devoted to Phil’s life and photographs. On September 25, I gave a presentation on my book Snapdragon: The World War II Exploits of Darby’s Ranger and Combat Photographer Phil Stern along with stories of Phil’s life to a full audience in the Piazza Square as the sun set in Catania. Although I speak a little Italian I had a wonderful interpreter to assist. Phil’s nephew Ben Stern, also spoke about his uncle’s early life. After the book signing, I had the pleasure to meet several locals who shared their wartime stories about their Italian relatives that fought during the invasion and their experience as POWs in America. 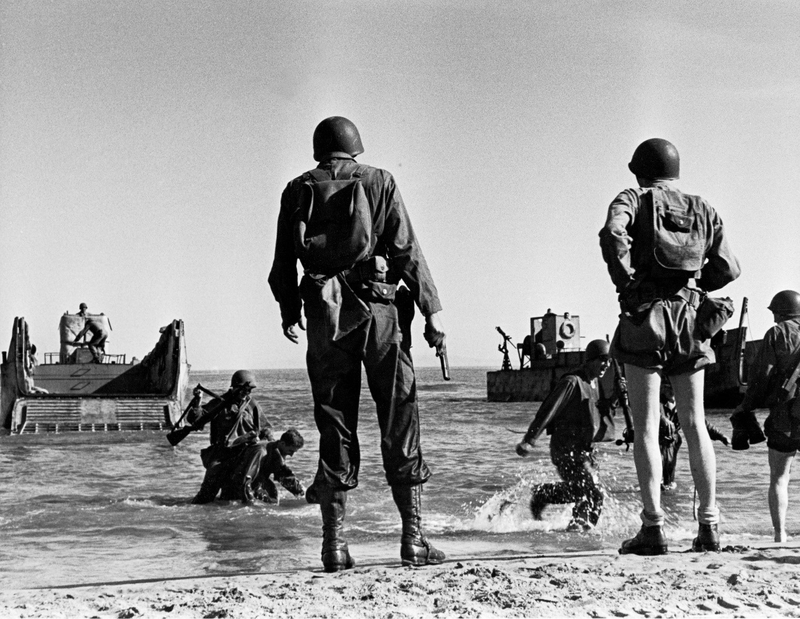 One of Phil’s Sicily stories he liked to share occurred as he made his way inland from the landing beach of Licata where he came in on the first wave along with Patton’s Seventh Army. Advancing further inland as sand turned into fertile ground, he ran into a ragged Italian Farmer. “He didn’t have a gun so I went up to him and said in my best Brooklyn Italian, ‘Buongiorno!” He replied, “Hiya doing’ keed?” The farmer’s name was Tom (Gaetano) Adamo. He was born in Sicily but lived in New Jersey for twenty years pressing women’s dresses. He saved enough money to return to Sicily and buy a house and farm. “I lived like a millionaire until the damnable Nazis infested our land!” said Adamo. He suggested Phil desert the Army because it was very likely he’d be killed. Instead he suggested marrying his 16 year old daughter Angelina. Phil decided to stick it out with the Army. The recent exhibition at the Pavilion The Look Beyond the War. Phil Stern photographer 1942--1943 was curated by Constanzo, along with Ornella Laneri and Carmelo Nicosia, president and director of the Oelle Foundation. 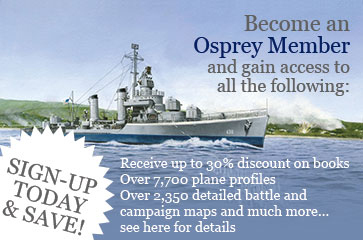 18 images taken by Phil of the invasion of North Africa (Operation Torch) were added to the show. Keeping up with the digital era, a binaural audio installation that "sings the photos" is a new update. “The viewer has the sensation of a greater visual perception because the sense of hearing is solicited with sounds and noises consistent with the images,” said sound engineer Michele Spadaro. For example, you could be gazing at a photo of a couple Rangers in a dugout foxhole in Arzew scanning the sky for enemy planes. With the new audio headset you can hear the distant roar of planes and the nonstop pounding of ack ack guns as they get closer. In another photo you’ll hear the motor of the LCA and splashing of waves and as the Rangers disembark onto the landing beach in North Africa. 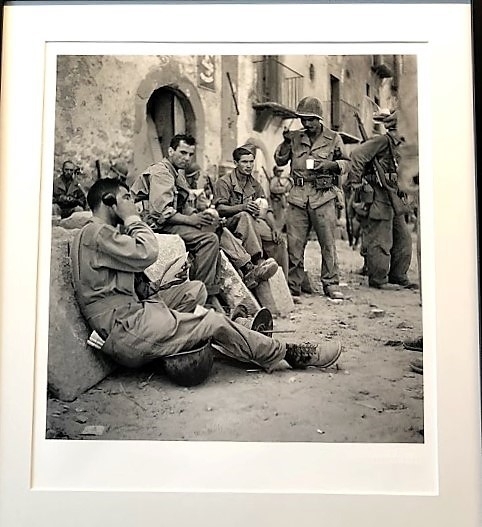 An unpublished photo of magnum war photographer Robert Capa taken in Sicily in the summer of 1943, recently purchased by the Pintaura di Troina Family Foundation was loaned to the Phil Stern Pavilion for the event. Capa parachuted in with the 82nd Airborne Division into Sicily on the evening of the invasion on July 10 1943. He was left hanging for an entire night on a tree branch near the southern town of Agrigento. After the war Capa tried to recruit Phil to join his Magnum Photo Agency. Phil shot him down every time explaining that his photographers always end up dead in battle and he preferred to live a little longer. With his legacy in good hands in Sicily, Phil Stern’s work will be noted alongside the likes of World War II Photographers Capa, Margaret Bourke White, Edward Steichen and Alfred Eisenstaedt. If you have the opportunity to visit the museum be sure to check in at the Phil Stern Suite at the Four Points Sheraton Catania Hotel.